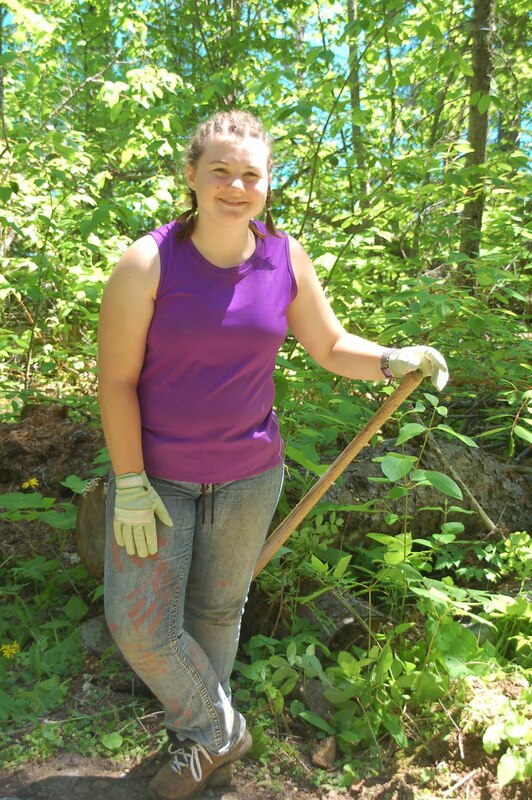 Nearly 60 Chrysalis volunteers recently visited Glacier National Park for a week-long service project. Staffer Ken Kudick offered the following thoughts on the Glacier trip. "Our trip to Glacier National Park is one of the most exciting times of our Chrysalis year. At first many of our students aren't excited about the idea of doing trailwork, but by the end of the week they are telling stories and bragging about the rocks and stumps they've moved, the turnpikes they've made, and blisters they've earned. The scenery, the work they've done, and experiences they've had will stay with them the rest of their lives." The fall semester of school starts Tuesday at Chrysalis, the therapeutic boarding school for teenage girls. Chrysalis in located northern Montana near the Canadian border.